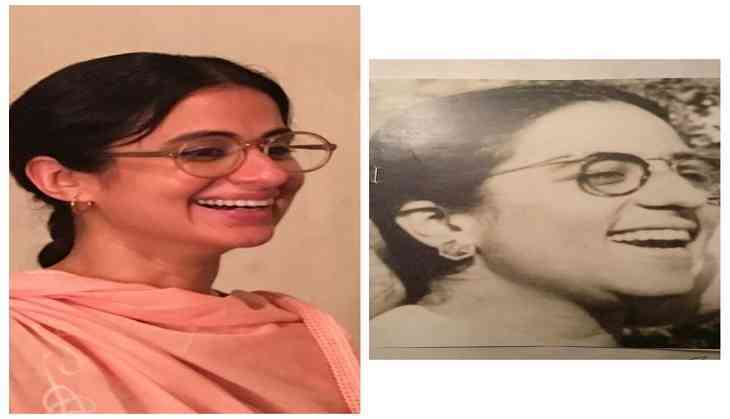 Rasika Dugal who essays the character of Saadat Hasan Manto's wife Safia in Nandita Das's directorial, is leaving no stone unturned to prepare for her role. After having done thorough research for her role, she is learning Urdu to get into the skin of her role and to get the perfect diction she hired a tutor to understand the meaning and the many metaphors in Manto's writings. In an effort to understand Manto and Safia’s world she’s also been reading essays written by Manto about his take and his defence on the cases of obscenity against him which gives a sense of the hardships they went through together. The film has recently begun shooting in Gujarat and now the first look of Rasika as Safia Manto has been revealed. Safia had simple looks with round glasses and simple Indian attire and much like Nawazuddin Siddiqui's look, Rasika's look as his on-screen wife in the biopic is absolutely spot-on and she manages to embody the look of the real life character.